Stephen Macatonia directs Union Hand Roasted in London, one of the UK’s leading Direct Trade roasters. Last week he published this thoughtful piece in the Guardian — the latest contribution to the ongoing debate between advocates and practitioners of Fair Trade and Direct Trade over whose trade is fairest of them all. For our part, we like them both. And we like them best when they go together. I have written on the Fair Trade v Direct Trade debate here. And here. And here. And elsewhere. Probably more insightful than anything I have written are the contributions to those discussions by pioneers of both approaches to the coffee trade. I believe that Direct Trade is a subset of Fair Trade, and therefore there is no Fair Trade vs. Direct Trade. There are, however, Fair Trade Certified companies who don’t “do” the Direct Trade thing, and some companies use Direct Trade as a kind of substitute for Fair Trade in their language. In other words, not all Fair Traders are Direct and not all Direct Traders are Fair. Meaning my diagram above may be a good way to think about how the two approaches relate to one another, after all. I am sometimes tempted to think of the relationship between Fair Trade and Direct Trade genealogically — the family tree of sustainable coffee. Except it is not entirely clear which would lay rightful claim to its deep roots and which would be relegated to the branches, since the earliest Fair Traders were Direct and the earliest Direct Traders were Fair. WHAT IS DIRECT TRADE, ANYWAY? Stephen rightly acknowledges that Direct Trade is an ill-defined concept. He and the other roasters he mentions happen to be the kinds of Direct Trade roasters who spend an inordinate amount of time with smallholder farmers at source, sometimes investing in community development. But there are plenty of other self-proclaimed Direct Trade roasters who do not, and there is no Direct Trade certifier to police those roasters or verify their claims in the way that FLO and Fair Trade USA do for roasters who call themselves Fair Trade. This fact alone makes it hard to fairly evaluate Stephen’s contention that Direct Trade (whatever that means) is better for farmers than Fair Trade. That is not to say that there isn’t a similar diversity of approaches to Fair Trade. There are Fair Trade roasters who have been trading with smallholder cooperatives for 15 years or more and have visited enough to be on a first name basis with more than a few of their members. And there are Fair Trade roasters who buy only Fair Trade Certified coffee off the offer sheets of their importers but have never been to a coffee-growing community. Their choice of Fair Trade Certified coffees represents a real commitment to fairness, but I often wonder whether a Direct Trade roaster who makes handshake commitments to farmers over kitchen tables in the coffeelands isn’t closer to the true spirit of Fair Trade, and doesn’t offer more value to farmers. If Direct Traders can agree on anything, I suspect it is the commitment to source only coffees of surpassing quality. That is good for the consumer, but may limit the social impact of Direct Trade on smallholder farmers: relatively few are able to consistently meet the exacting standards most Direct Trade roasters apply to their purchasing, and those who are usually sell only a small portion of their coffee into Direct Trade microlots. Stephen points out that Fair Trade payments are made to cooperatives and not directly to farmers. This is true. But in most cases cooperatives offer their members commercial services like milling and exporting at more favorable rates than they would find at commercial mills. And cooperatives tend to offer a broader array of services than traders — beyond generating financial capital through the sale of coffee, coops invest in developing the human capital of their members and create social capital that members can draw on in times of need. It may be that the value of these services offsets any financial gains achieved through the kind of disintermediation favored by Direct Trade. Finally, Stephen contrasts “quality-centric” Direct Trade with Fair Trade, which he suggests does not create incentives for quality. I had hoped that when Roast Magazine awarded Microroaster of the Year honors to Fair Trade roasters two years running — Kickapoo Coffee in 2010 and Conscious Coffees in 2011 — it would have put that trope to rest for good. These examples — and a growing number of others — suggest that roasters may choose to source Fair Trade coffee AND be obsessive about coffee quality. Ideally, the terms Fair Trade and Direct Trade should help consumers in the marketplace make quick associations about the quality of the product they are purchasing and the impacts of their purchases on farmers. Which will be better in the cup? Which is fairer? Unfortunately, it may not be that simple. Consumers who associate Fair Trade with social justice and Direct Trade with cup quality may be slighting both — there are Direct Traders generating real social impact at source and Fair Traders delivering exceptional coffees in the marketplace. Something that I would add is that for some committed Fair Traders like Equal Exchange there are additional forms of impact beyond the ones you alluded to that we find flow from working with the small-farmer co-ops and from supporting them. But that when these farmers can work together they can begin to change that. _As a group_ they can begin to challenge the traditional elites (whatever form they may take) and they can begin to get the attention from local, state or even national gov’t officials. I personally don’t know what happens at origin so well as you, or many of your readers, but it is nevertheless my sense that these ‘strength-in-number benefits’ are why sometimes unscrupulous traders and exporters intentionally seek out to undermine & weaken the farmer co-ops. And they simply want to remove unwanted competition that gives farmers more leverage. I do not think that Direct Traders intend to weaken co-ops through their manner of disintermediation, and I know that some times some Direct Traders _do_ buy from the co-ops, and not just from individual farmers. Those transactions could be one of those relationships that fall into the purple nexus (or sweet spot) of your Venn diagram. And probably the world of sustainable coffee exports has a place for the direct export of individual farmer micro-lots AND co-op focused Fair Trade. But in any case I think it would be helpful if some Direct Traders (and the folks at Thrive Coffee, too – the focus of the NY Times article that P Baker mentioned) would keep in mind the kinds of impact (economic, social, political, operational, commercial, ecological, and quality-related) that co-ops often provide and that sometimes they alone are in a position to provide. Lastly, you’ll see that my comments are littered (maybe “burdened”?) with ‘some’ & ‘sometimes’. I’m just trying to acknowledge that its far from a black-&-white world, and that the folks who are truly frustrating the opportunities for farmers are neither Direct Traders, nor ‘in-direct’ Fair Traders, nor any of that. But rather its the old school types in the industry (both in the North & the South) who want nothing to do with any of approaches that some of us debate so intensely. Direct Trade is so new by comparison to Fair Trade as to still be squeaky. The concept of Direct Trade seems to be aimed at being even more immersed in working not only to import coffee, but to educate producers about better agricultural practices, and to introduce business methods and training that have been denied to these communities. A good example would be helping to secure lines of credit for women who want to start small businesses in their communities but lack the micro amounts of capital to get started. Having some limited experience living in a producer community in one country, opens up a small window of why and how Direct Trade can be even more beneficial when done right. This in no way denigrates Fair Trade, as the two are similar yet different in their approaches. It seems Fair Trade attempts to approach things from a mass concept, trying to assist as many farmers in relation to coffee as possible, yet missing the more grass roots issues closer to home. Direct Trade tends to deal at the coop and community level, where issues can be addressed in a more focused manner, with the additional benefit that this eliminates the broker, thereby reducing expenses which should increase profits to the producer. This could be debated till the cows come home or the water buffalos migrate, with as many different views as there are growers. A perfect solution will likely never exist, but that does not eliminate nor give cause to stop looking for better ways to deal with the disparity that has existed far too long between the grower and the end users. We have had coffee in our cups at the expense of the small farmers far too long. Even Fair Trade has not sufficiently closed that gap. Direct Trade is a step in the right direction. So a healthy “Right On” to the roasters involved in Direct Trade, and the coffee shops and retailers that support those roasters. We all have a voice, and the more it’s heard the greater the opportunities that exists for change. That supports better farming practices. This leads to better harvests, creating more excellence in the bean, economically benefiting producers and communities, and better brew in the cup. Isn’t that what we’re all talkin’ about? Alan, it seems to me that you’ve fallen into the exact Fair Trade vs Direct Trade dichotomy that Michael is trying to dispel here. Fair trade is a broad concept generally organized around a trade-oriented sense of justice, which is why the first quote from Peter Giuliano is so on point. Fair trade certification (like any certification) has to take a general focus, which is why it tends to be oriented toward scale. Certification opens up channels within fair trade, but in no way does it replace the broader concept, preclude direct trading (which is been a part of fair trade since the beginning, both within certification and without), nor displace the very active grassroots elements at both the production and consumption ends of the supply chains. 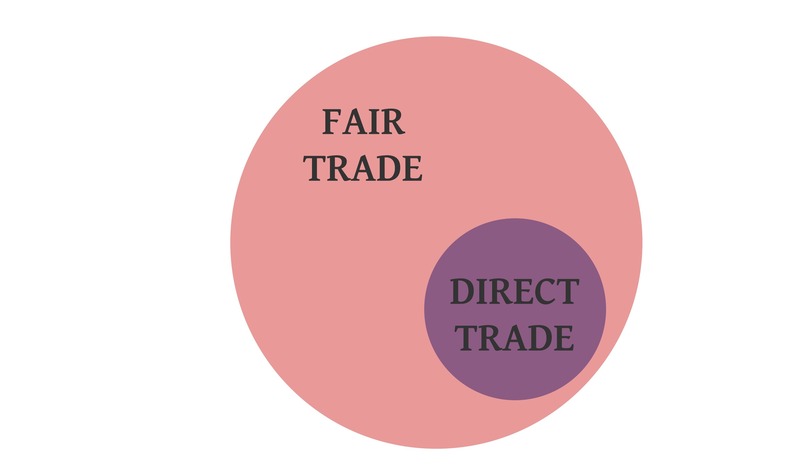 The second half of Peter’s quote (and Michael’s first Venn diagram) best represent the relationship between fair trade and direct trade. 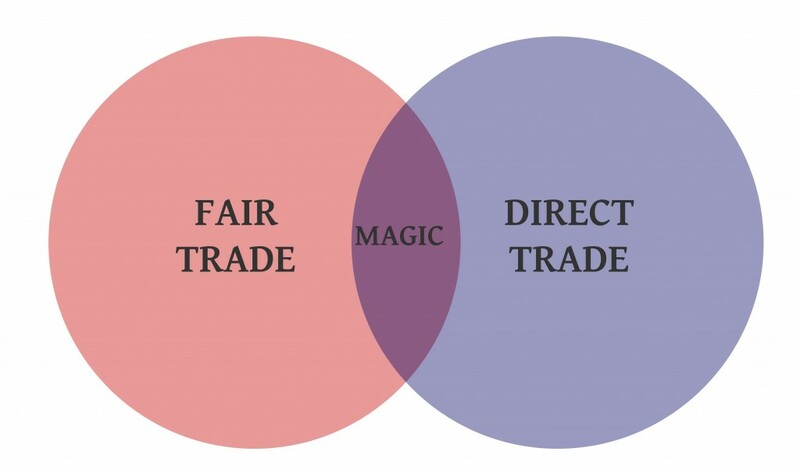 If I were to add a third circle to Michael’s diagram representing fair trade certification, it would almost entirely fit within the fair trade circle, it would overlap but not overtake the current “magic area”, and it would expand the “magic area” out beyond the direct trade circle. 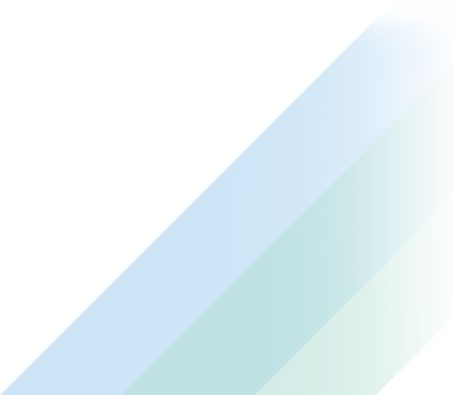 A Q for Michael Z – I’m pretty visually-minded but am not sure what your version of the Venn diagram would look like? Maybe you could send it to me (& to Michael S. – in case he wants to share it w/the readers)?